These gentle giants have been the subject of many books and paintings. 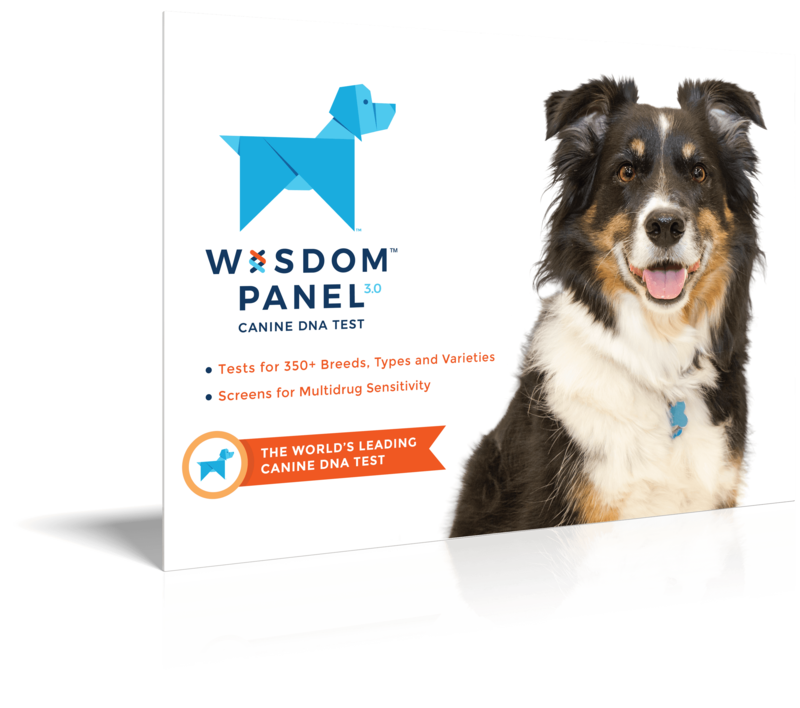 Intelligent, quiet, active, and usually friendly dogs. Enjoy swimming and jogging. 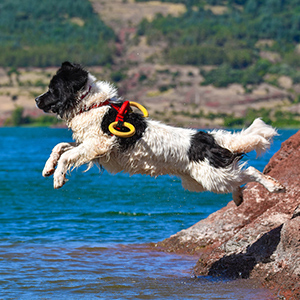 Enjoy dog sports such as water trials, packing, weight pulling, musical freestyle, agility, tracking, and obedience. Make calm, loyal and devoted pets. Much like its name would imply, these powerful waterdogs are exactly who you want coming to your rescue when you need to “see land” again. 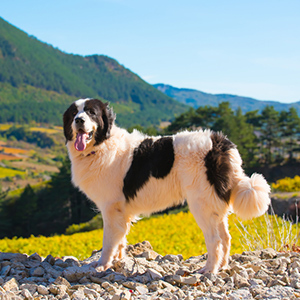 In truth they were named for Sir Edwin Landseer in 1838 after he finished his renowned painting, “A Distinguished Member of Humane Society” depicting the handsome black and white dogs. 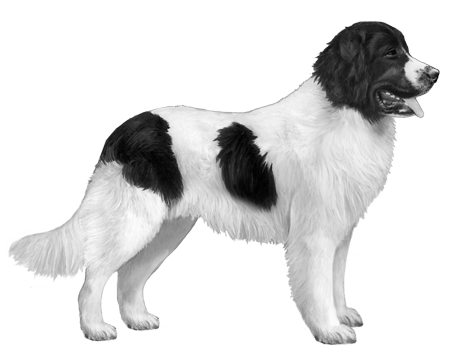 The breed originated in Newfoundland and was brought to England during colonial times. 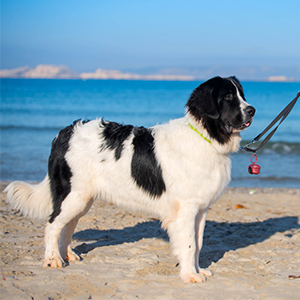 Much like their cousins, the Newfies, these beautiful, large black and white dogs were known for their exceptional swimming skills and utilized by fishermen to tow nets to shore. Able to tow nearly forty times their weight, they were also used for rescuing people from drowning. These gentle giants have been the subject of many books and paintings. The males range between 143 and 176 pounds (65-80 kg), while females are slightly smaller, ranging from 121 to 143 pounds (55-65 kg). The breed standard for colour is white with black patches on the chest and back, with a completely black head. Probably their most notable feature, their coat is thick and begs to be cuddled with a soft close-lying undercoat for keeping them warm in frigid water conditions. 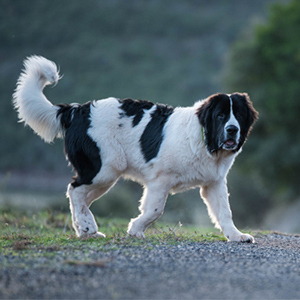 Brave, intelligent and mild should you ever need to be rescued, you’ll hope it’s the Landseer coming to get you.